- Fit ALL non-mallet Studio Select models, including Newport, Button Back, My Girl, Select GoLo, Select Mid & Long, California and Kombi. - Does Not fit Squareback, Fastback & Detour model. Does Not fit Squareback, Fastback , Detour model. 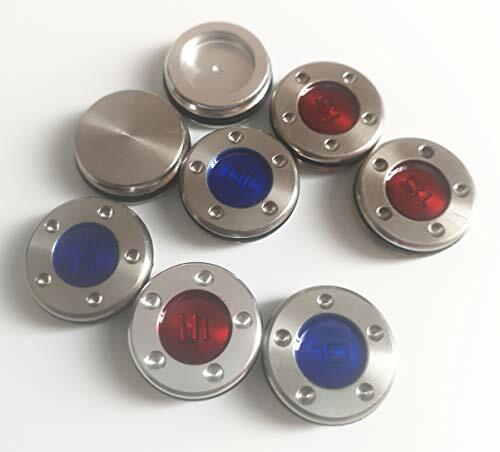 This weight is very good quality, it be made in good metal material wear resistance. not easy to wear and tear. 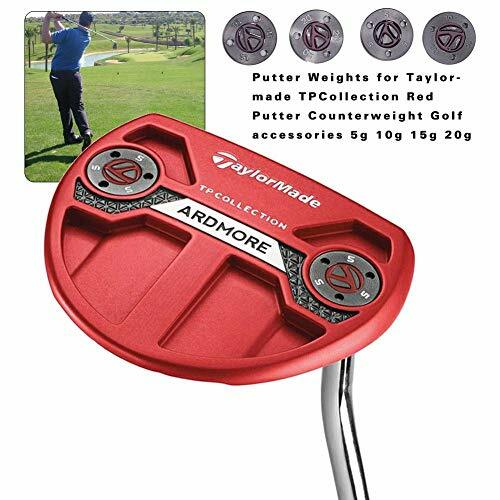 Help you adjust you swing weight, Top Quality Aftermarket item. 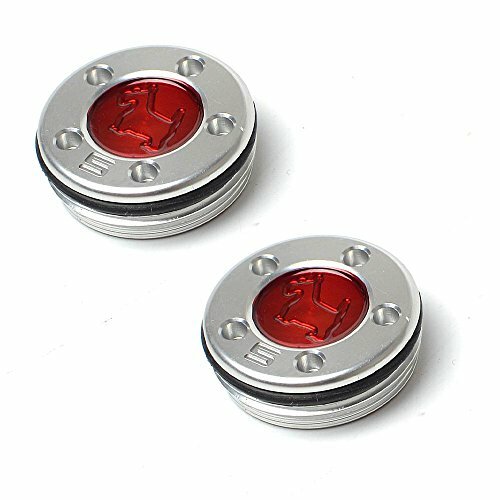 You are Purchasing 2 New Custom Replacement Weights for Titleist Scotty Cameron Putters. These weights will fit the non-mallet Studio Select models. (Newport, Button Back, My Girl, Select GoLo, Select Mid & Long, California, Kombi & Futura X) These will NOT fit Squareback, Fastback or Detour models. This is an after market product, it was not made by Titleist or Scotty Cameron.You are Purchasing 2 New Custom Replacement Weights for Titleist Scotty Cameron Putters. These weights will fit the non-mallet Studio Select models. (Newport, Button Back, My Girl, Select GoLo, Select Mid & Long, California, Kombi & Futura X) These will NOT fit Squareback, Fastback or Detour models. This is an after market product, it was not made by Titleist or Scotty Cameron. We greatly appreciate you for choosing our shop. Please check the details of our products in the description carefully before your purchase. Thanks! 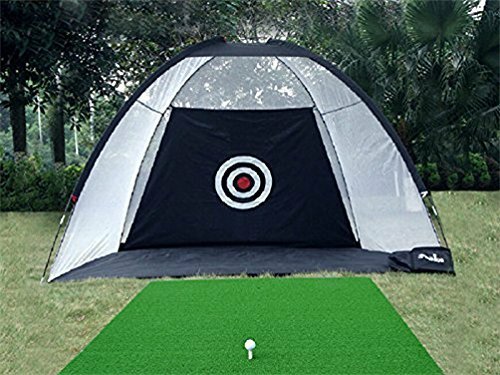 Free Standing Golf Net assembles in minutes. Factory adjustable hosel adapter replacement Sleeves for the PXG hybrids. 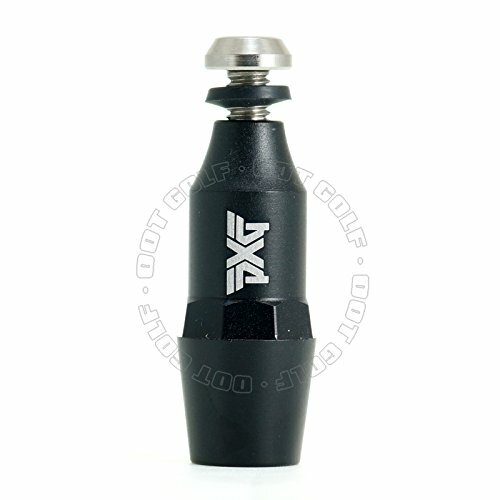 Other than replacing a defective Adapter, the Adapter Sleeves can also be used to create multiple shaft options for PXG hybrids for less than the cost of simply reshafting your current shaft sleeve. PXG's adjustable hosel can change the loft (+/-) 1 degrees to optimize the trajectory for each golfer's unique swing. When you have a tough shot from the rough and don't think you can reach the green, grab the TaylorMade Men's SLDR S Rescue to help get you out of trouble. 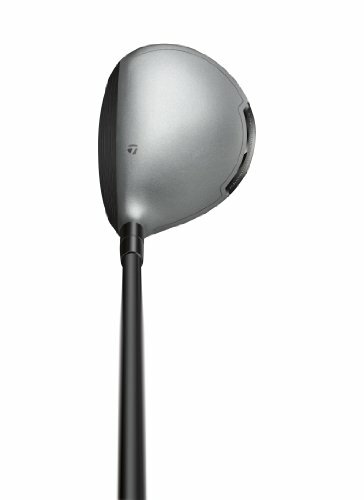 The low and forward center of gravity, combined with additional loft, creates more distance than you thought possible. The new and improved Speed Pocket helps increase ball speed without requiring you to take a harder swing. Golf balls have reduced spin for greater distance, carry and maximum playability from tee or turf. As we know, worn grooves, and sometimes even grooves on brand new clubs, produce backspin that is significantly less than allowed by the USGA. NKTM was designed to address that problem. NKTM is designed to clean and sharpen the grooves on your golf clubs and rejuvenate them to like-new, factory-fresh grooves, all in a matter of minutes. You will be able to generate awesome spin on the ball and still maintain clubs that are within the USGA rules. Stop the ball where you want it and maintain control. That is what this game is all about, and keeping your clubs in a condition to produce such results is the key to bringing in results on the scorecard.Package Include: 1x Sharpener. 100% Satisfaction Guaranteed! Now you can get an instant improvement in your game with exceptionally well golf grooved irons. 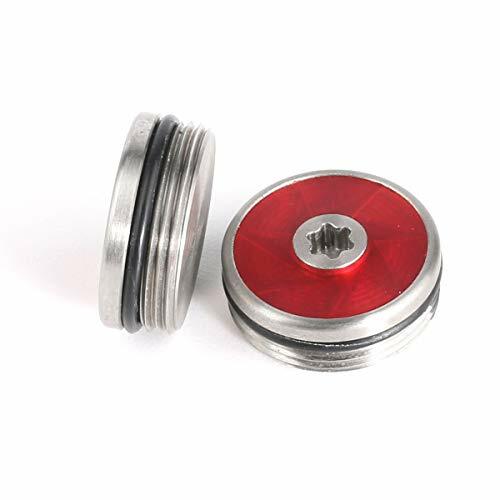 NKTM golf club groove cleaner works by sharpening the rolled over metal edges that have collapsed in the grooves of your club. Have the same level of advantage used by top PGA professionals. 2 U type club grooves and 4 V type grooves. Perfect for Adams, Callaway, Cobra, Cleveland, Nike, Ping, Taylormade, Titleist, Wilson and and other golf Leading Irons, including Sand Wedges, Lob Wedges, Gap Wedges, Approach Wedges, and other Golf Utility Clubs. 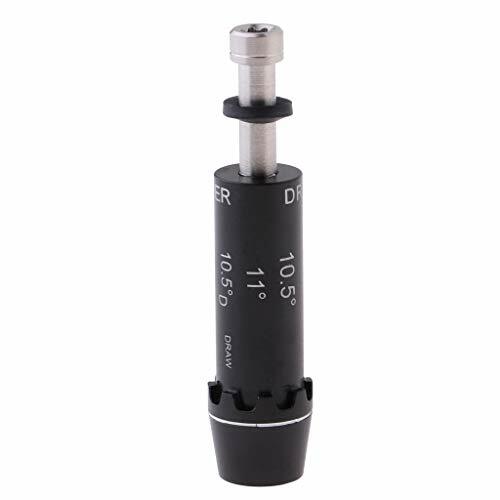 Made from high grade precision tool vacuum heat treated steel, measuring 60 on the Rockwell hardness scale, for maximum durability and cutting effectiveness. 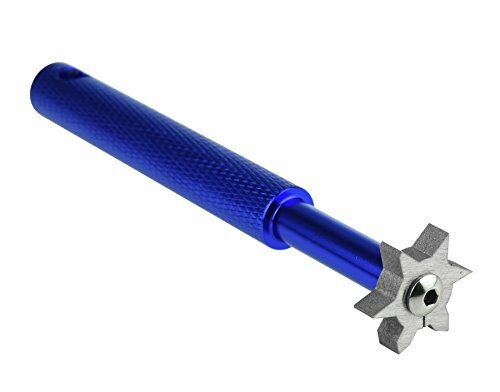 This golf groove sharpener tool is precision ground and engineered to exacting tolerances to ensure that it does not compromise USGA rules regarding groove width and depth. INSTRUCTIONS: Simply run the sharpener down the grooves 45 degree angle and without applying too much force strokes on each groove. clean the club and apply 1 more drawing stroke with little more force. Repeat sequence depending on how much particles of dirt, sand & grit within the grooves have built up over time. 100% satisfaction guaranteed! 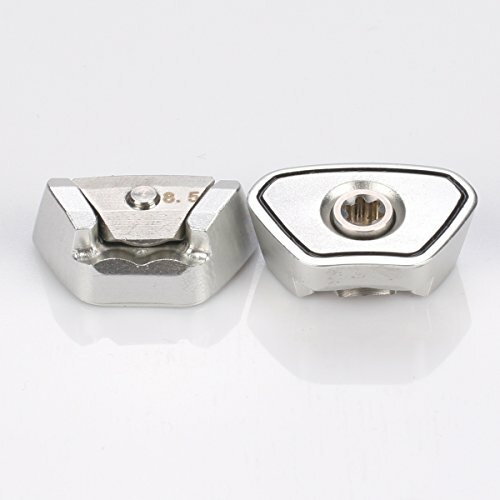 If you don't love our golf club groove sharpener tool. we offer a full money back guarantee for you! At the moment, We provide a clear plastic tube for you , easy storage and shipped inside protective foam bag. 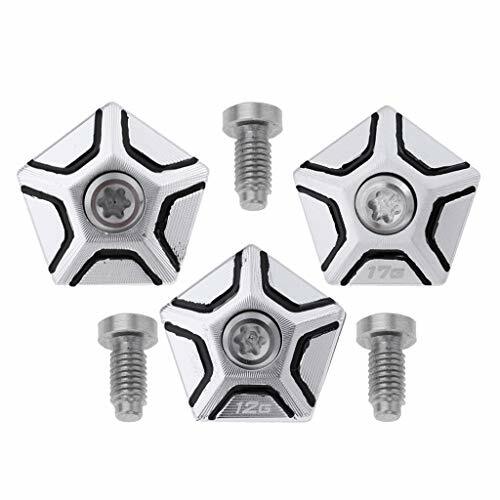 - Please confirm your shaft tip size before you buy, and every adapter fit one tip size shafts only. 1. Please use the right wrench to twist the screw avoid to damage the sleeve and club head, maybe you need to heat a little if your old adapter is too tight. 2. Please don't use Acetone to clean it, the letters may be removed, it recommended to use Isopropyl Alcohol to clean epoxy after installing. 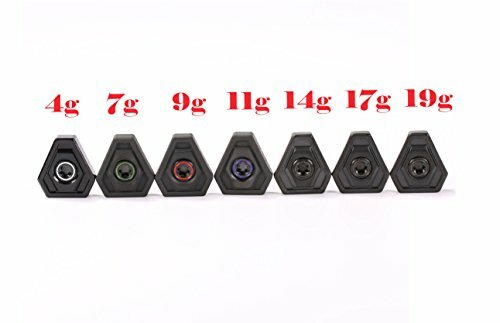 Please confirm your shaft tip size before you buy, and every adapter fit one tip size shafts only. Please confirm these weights can fit your putter before bidding.